Working conditions: 40 hours/week for full-time/100% (80% may be proposed for this role), preferred start date by the end of January 2019, – some travel involved. 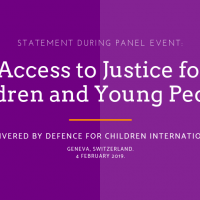 Defence for Children International (DCI) is a leading child rights-focused and membership-based grassroots movement placing all members on equal footing. Created during the International Year of the Child (1979), DCI coordinated the NGO input for the drafting of the United Nations Convention on the Rights of the Child (UNCRC) – the most widely-ratified human rights treaty in history. DCI’s mandate is to ensure ongoing, practical, systematic and concerted action directed towards effective implementation of the human rights codified in the UNCRC, by means of its effective coordination between different levels (national, regional and international) and its active membership within key networks and fora. DCI counts with 37 grassroot organisations (National Sections and Associated Members) in five different continents, involving over 300 trained and specialized local staff and volunteers, who contribute daily to defend and protect the human rights of children. This position is based at the International Secretariat (IS) of DCI in Geneva, Switzerland. The IS is composed of a small team of permanent staff working together with other temporary positions and interns; it promotes advocacy and lobbying activities, capacity building, representation and monitoring at the UN andother international or regional organisations on behalf of the entire Movement. TheProject and Capacity Building Officer is in charge of project development and management of multiple projects mainly at the international and regional levels, as well as developing the capacity-building strategy for the DCI Movement. TheInternational Secretariat communicates in three official languages (English, French and Spanish). The economic exclusion of girls and young women through strategic lobbying and advocacy). Planning, implementation, follow-up, reporting and evaluation of the International Programme of the GAA in Geneva, jointly withinternational and country partners. Technical assistance to country partners, includingwith DCI National Sections part of the Programme, on how to engage with UNhuman rights mechanisms in Geneva. Support DCI National Sections and Regional desks in the implementation of programmatic and project activities. Support Regional projects with International andregional Advocacy. Support Regional projects with communications andevent organisation. Strengthen governance of regional projects andrelations with donors. Facilitate and provide technical assistance and guidance to DCI National Sections on how to implement DCI’s Strategic Framework2017-2021. Support DCI sections in their development(governance, membership, project management, project reporting…). Support DCI sections in need of capacity-building, compliance and effective use of the tools, models and guidelines developed by the DCI-IS. Coordinate and arrange training programs and workshops for DCI National Sections and regional projects as appropriate. Strengthen knowledge-sharing, replication of good practices by Sections and development of tools to be used by the Movement. Coordinate DCI’s engagement in project-related advocacy with mechanisms such as the Universal Periodic Review (UPR) mechanism, including through technical support and guidance to DCI National Sections. Support DCI’s Working Groups on Violence Against Children and Gender. 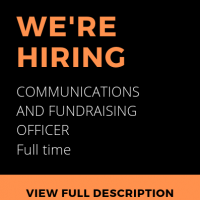 The Project and Capacity BuildingOfficer reports to the Executive Director and will work in close collaboration with the Advocacy Officer and the Outreach & Development Officer. Preferred starting date by the end January 2019 or to be confirmed upon agreement. Due to short deadlines for the recruitment, this position is open toSwiss and EU nationals, as well as holders of a valid Swiss work permit. Complete applications including all the above documents should be sent to recruitment@defenceforchildren.org before 11 January 2019 (23:59 Geneva time), with the subject line “Application : Project and Capacity Building Officer.” Only complete applications arrived within the deadline will be considered.